Plaid Stallions : Rambling and Reflections on '70s pop culture: Electra Wow! 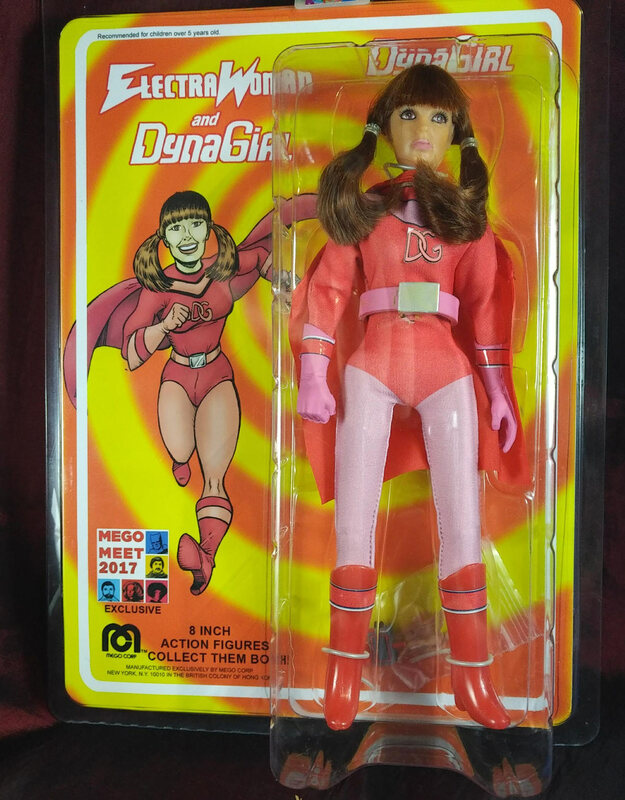 The doll's likeness to DynaGirl is incredible. In fact, it's worth noting that the sculpt is better than the artwork on the backer card. So glad you had a great time. I really want to make it to a MegoMeet one day. Awesome customs! Totally jealous. You need a Glitter Rock or a Spider Lady to go with them now. 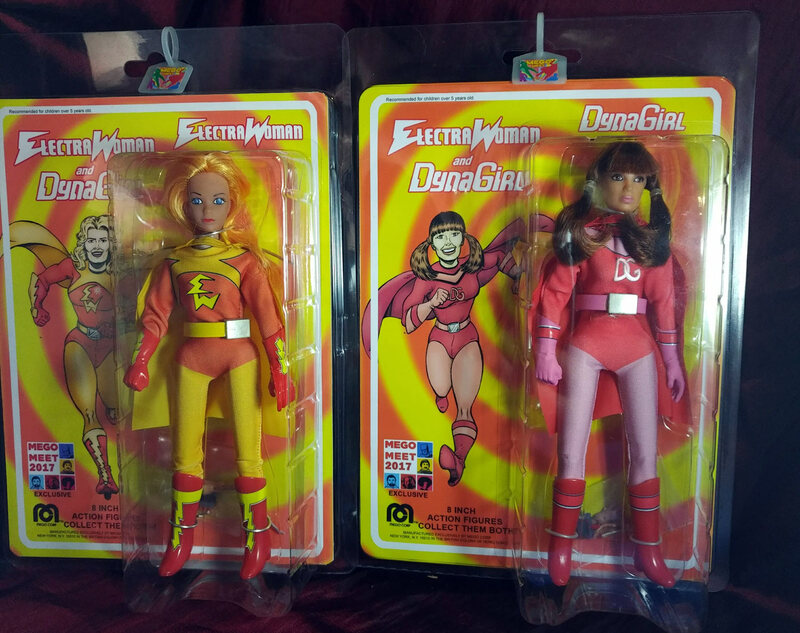 The doll's likeness is pretty amazing but.... my 10 year old pre-pubescent self marvels at the legs on that girl. Yowch ! I did the dyna-girl head ( and imo I did a much better job on this one! ), but did not know the thoughtful story behind it! Scott is such an awesome guy.